There’s a video going around the internet of Keanu Reeves, stranded in Bakersfield, California thanks to an emergency flight landing, not only taking charmingly dad-like control of the situation but treating his fellow grounded passengers to Bakersfield trivia on the impromptu bus ride. It’s sort of the perfect encapsulation of the Great Innate Goodness of Keanu Reeves; the man is kind of a goober, but if he tells you to get on the bus, you get on the bus. It’s the natural, easy affability that gave him the ability to play loveable lunkhead Ted Logan in Bill and Ted’s Excellent Adventureback in 1989 but also not miss a beat in the role 30 years later. It’s the same charm that the actor so easily inverts to genuinely unnerving effect in action roles like, say, the title character of the John Wick franchise, where The Boogeyman’s marathon kill sprees give off the everyman weariness of a guy trying to mow the lawn before the game starts. Reeves exists simultaneously on opposite sides of a complex spectrum, is what I’m saying. Twenty years ago this week he landed dead-center of that spectrum and changed the idea of an action hero forever. 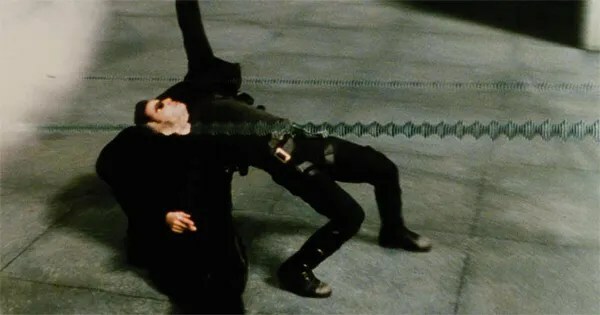 We’re talkin’ Thomas A. Anderson from The Matrix. Better known as Neo. 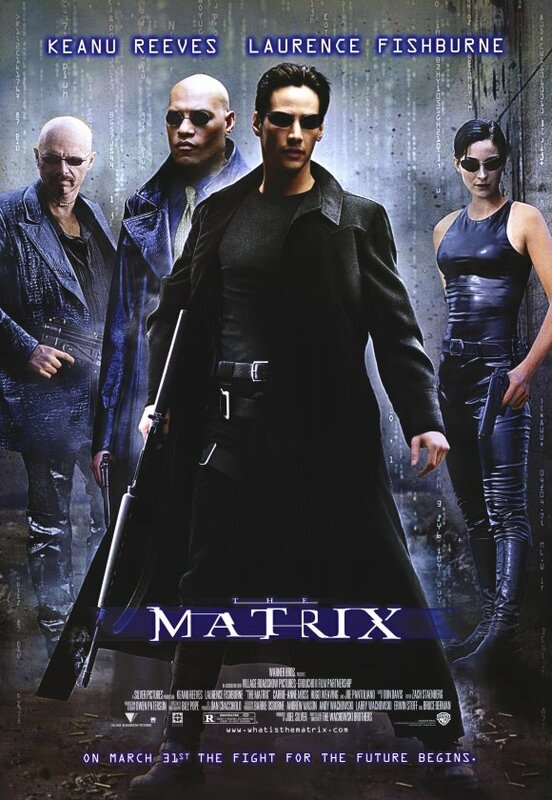 Rewatching The Matrix, I was shocked by how much of the iconography I remembered over the years came exclusively from the film’s second half. 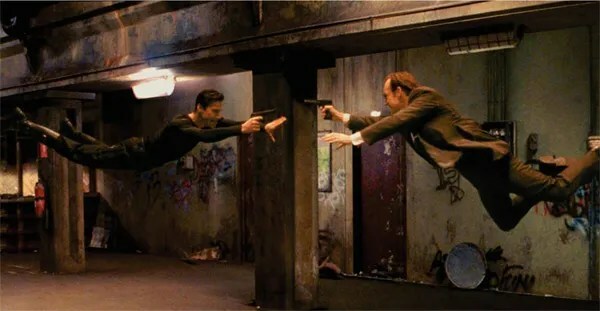 It’s a stellarback-half, mind you; the lobby shoot-out, the bullet dodge, the helicopter rescue of Morpheus (Laurence Fishburne), the physics-defying subway fight with Agent Smith (Hugo Weaving). But what gets lost under the enduring image of black-coat-and-sunglasses Neo—thanks in no small part to the two sequels, which we won’t be discussing in this space—is the skittish-ness of the Neo we first meet. The one shaved bald to board the Nostradamus, throwing up and blacking out after his first un-plugging. Those early days are a key component to the Neo character, realized flawlessly by Reeves.